Is Your Business Looking for an Affordable Call Tracking Service? How do you tell how many prospects placed calls instead of filling out an online form? What is Affordable Call Tracking? In simple terms, call tracking is the ability to trace phone calls back to the person who initiated the call, as well as the relevant advertising channel that prompted the call to your business. Until recent years, it has been almost impossible to determine exactly where your incoming phone calls have originated. 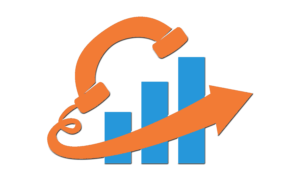 The latest call tracking software included in the Visual Visitor Marketing Toolkit can help you determine which of your marketing efforts are successfully producing inbound calls, and which are not. How does Affordable Call Tracking Work? Affordable Call Tracking as a feature of Visual Visitor’s Marketing Toolkit works by assigning unique phone numbers to different advertising sources. When the prospect sees your ad, they call the unique phone number that is then forwarded to your regular business phone (or whatever phone number you would like). Visual Visitor is then able to collect metrics about the call, record and transcribe the call if you would like, notify you by text or email, and many more options. This concept also extends to tracking online marketing efforts. If you are running the latest version Visual Visitor’s installation code, you will have the option to configure “Dynamic Number Insertion” (DNI). DNI is a beneficial but straightforward option. It allows us to evaluate the source of the visitor and change the phone number displayed on your website accordingly. A great example of DNI is configuring a tracking phone number for Google Adwords. Once the phone number has been configured, any visitor that clicked on one of your Google Adword Ads will have your unique Google Adwords tracking phone number displayed on your website instead of your regular business number. Are you wondering what Visual Visitor’s affordable call tracking can do for you? This informational data will help your sales team work their way through the sales pipeline with an advantage that your competitors might not have. Know more about those inbound calls with Visual Visitor’s Affordable Call Tracking. Click here to learn more.